I fell for the drobo the moment I heard about it, but the bloom fell from that rose after a few years. The old drobo was simply too slow for modern computers and big files. But the new third-generation drobo is enough to make you fall in love all over again: It’s a simple and relatively affordable upgrade that really delivers the goods! You’d think that someone like me who spends all day talking about high-end enterprise storage wouldn’t think much of the little drobo, but you’d be wrong. My highest respect goes to products that are perfectly suitable for their use case: SolidFire and Zerto come to mind in my “day job”, and my MacBook Pro, Miata, and Nomos Tangomat fit the bill at home. These things aren’t right for everyone, but they are perfect at doing what they do! The drobo does one thing: It keeps your stuff safe. Sure there are a million other storage devices out there but they all do too little (plain hard drives) or try to do too much (Synology, etc). 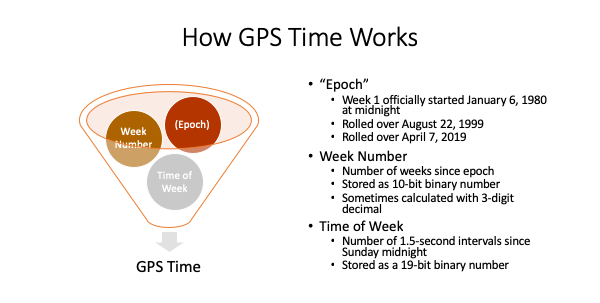 Home users need a device that’s dead simple to set up and leave running forever. The drobo is in it for the long haul: You can swap out drives to add capacity without moving a bunch of data around, you can use any old drive you happen to have, it protects from drive failure, and it includes data integrity checking to keep your data safe for years. I set up my first drobo back in 2009 after writing about them quite a bit. It hasn’t outlasted my Model M, but I think my drobo disk pack is the oldest computer component I still use today since I switched to a Unicomp in 2012. The drobo is a veritable Ship of Theseus: the data I wrote to those drives is still accessible today, even though I’ve changed out every drive repeatedly. 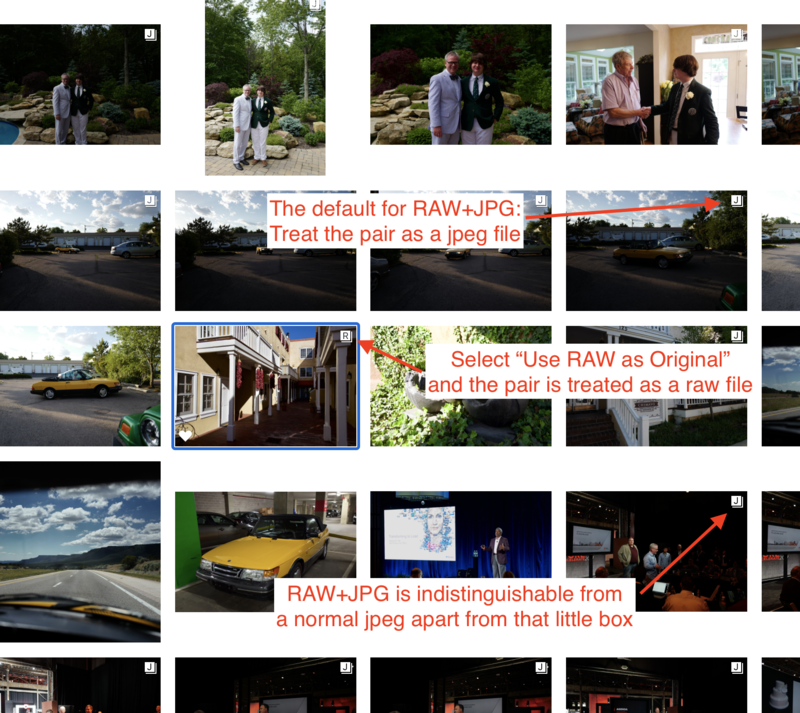 This is the secret that makes the drobo special and worthwhile. Data has longevity beyond any device, and drobo is one of the few companies that recognizes this fact. 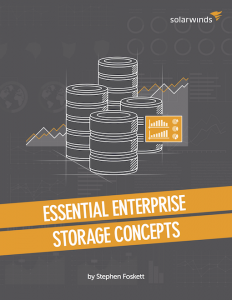 It’s too bad so few enterprise storage systems have similar capability; few offer rolling components upgrades while preserving data and accessibility. But drobo isn’t a perfect device. For starters it’s expensive. 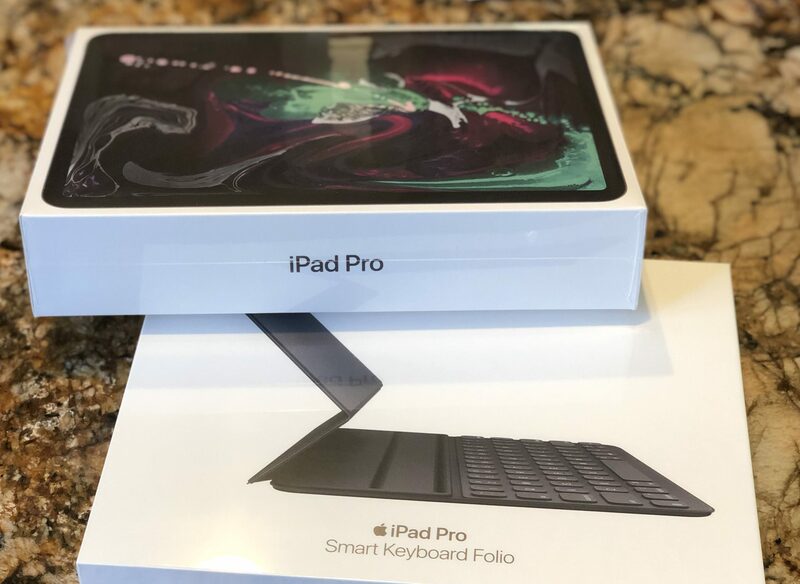 Not as expensive as it was, and definitely a bargain for what it does, but it’s hard to convince people to shell out hundreds of dollars for longevity and data protection when they don’t value it. Most people happily risk their data with no backups or simple and cheap external hard drives then weep when they lose everything. Connectivity could be a problem with the drobo, too. As I lamented before I got one, I wanted a shared device, not one permanently tethered to one computer. Since then, a few networked drobo devices have appeared but I don’t use them. I learned to live with one computer connected directly to a drobo, and this is probably right for most ordinary people, too. My biggest complaint about that 2009-era drobo was performance, or lack thereof. USB2 is really slow, but the drobo was even slower. It could barely crank out 15 MB/s and IOPS were measured in single digits. The second-generation drobo added FireWire, which improved throughput somewhat but the unit was still excruciatingly slow. On the technical side, I remain opposed to drobo’s risky drive-swap behavior. If a drive fails, or if you want to upgrade, you have to pull out the old drive and insert a new one. It then rebuilds data protection and rebalances the data, a process that takes hours and really hammers on the remaining drives. If another drive was to fail, this is when it would happen and your data would be gone. I wish drobo had a safe disk swap mode, building dual-drive data protection when needed so you could have a little more peace of mind at this critical time. You could do this manually by enabling dual-drive data protection in the Dashboard application before swapping out a drive, but drobo should do it automatically if space allows. In fact, why not use dual-drive mode all the time as long as there is space available? I moved all my critical data to a second-generation drobo back in 2009, starting with some random drives before buying a set of green Seagate and Western Digital drives. The drobo lasted through many computer swaps: MacBook Pro, iMac, Mac Mini, and Retina MacBook Pro with a Thunderbolt to FireWire adapter. 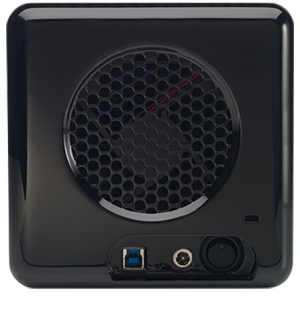 I relied on FireWire to my drobo2 for a while, but eventually added a droboS to the mix. 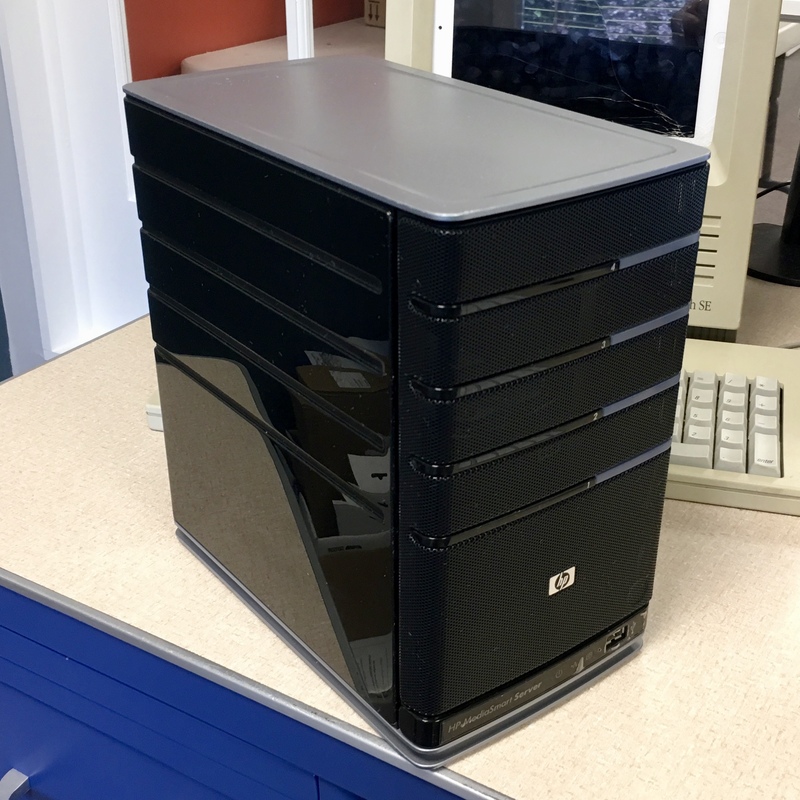 This guy has USB3, 5 drive slots, and dual-drive redundancy. But I found it somewhat less than reliable, especially with USB3. Maybe it was my cables or maybe the droboS isn’t as good a box, but I ended up reverting to the drobo2. I even went back to USB2 connectivity for the sheer sake of convenience, leaving it connected to a USB2/3 hub. Although the drobo houses active data, it’s never been my primary storage device. It was simply too slow for use by applications. So it became an “active archive”, with really hot data staying internal on my computer. I never used the drobo for backup, though. I’ve got a fireproof/waterproof/crushproof ioSafe Solo Pro for that. And I also added a set of plain Seagate GoFlex hard disk drives for real offline archiving in a fireproof vault. That’s a lot of storage! 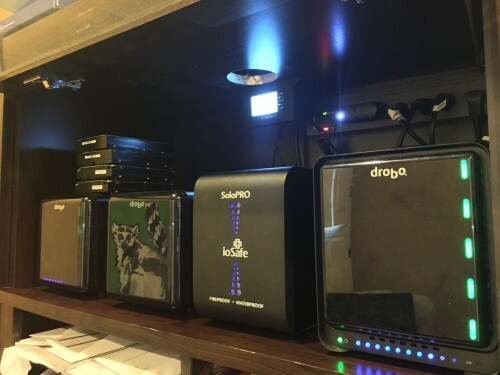 L-R: 8 TB drobo3 with extra 8 TB disk pack, lemur-reflecting 6 TB drobo2, 1 TB ioSafe, 5 TB droboS2. Note the AC Infinity fan setup too! While out at drobo/Connected Data for Storage Field Day 7, I mentioned that my old drobo2 was just too slow. They grabbed me a third-generation unit and asked me to give it a spin. I admit, I hadn’t been following the news and was unaware of the new device. But I took it home, swapped in my disks, and gave it a whirl. WOW! 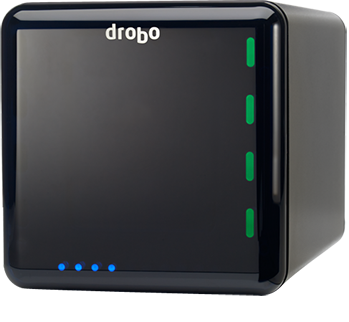 The third-generation drobo is night-and-day faster. Using the exact same disks, it went from 15-30 MB/s to well over 100 MB/s in throughput. 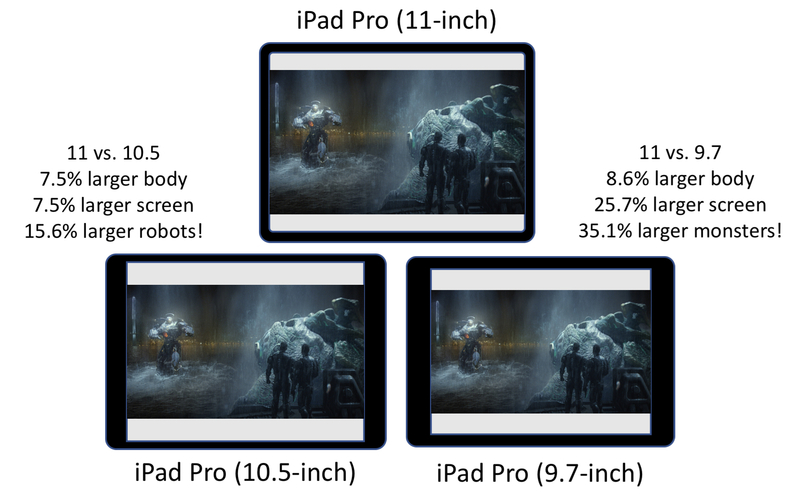 And a comparison of IOPS is simply unfair. I’m getting hundreds of IOPS in everyday use, making the drobo comparable to a bare drive in terms of performance. I’m still not sure I would use it for active application data, but I bet the drobo3 could keep up! Geoff Barrall (now back in charge after merging Connected Data with drobo) told me that the company upgraded just about every component of the drobo3, but I’m betting on the CPU as the reason for this newfound performance. 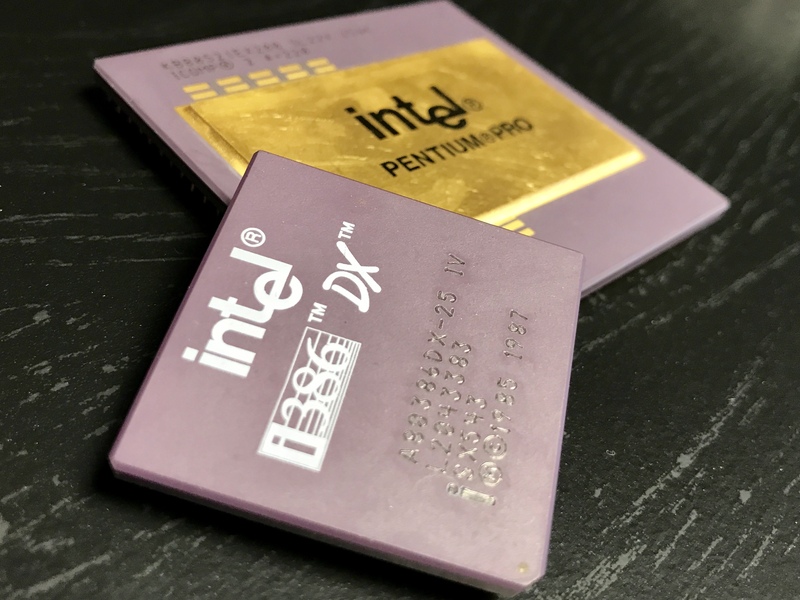 In the last 10 years, the mobile phone, tablet, and Internet device industry has driven amazing advances in inexpensive multi-core CPUs. I imagine one of those quad-core processors found its way into the little plastic wonder. It’s comparable to the night-and-day performance upgrade of the Raspberry Pi 2: Moving to a quad-core CPU opens a whole new world of possibilities. I’ve got one of those on my network, too, and it’s really amazing what it can do! The third-generation 4-bay drobo now supports dual-drive data protection, reducing the risk of data loss if a drive fails or is being replaced. This feature was previously found only on the 5-or-more bay drobo devices. The drobo3 is USB3-only, losing the FireWire ports. This is no great loss, since most Macs lost their FireWire ports a few years back anyway. USB3 is much faster anyway, and it’s backwards compatible with USB2 if you need it. Somehow, the drobo3 has much better instrumentation in Drobo Dashboard, showing performance statistics and detailed drive information unavailable on previous units. Most importantly, the retail price for the third-generation drobo is just $299, a welcome break from the $500 or more that previous units commanded! drobo has gone USB3-only with the third generation. Adieu, FireWire! It has a power switch now too! I have experienced some weirdness with the new drobo, however. First, it’s great that the same “disk pack” from the old drobo2 are compatible with the drobo3, but why can’t the new box swap disks with the droboS? And speaking of swapping disks, I’ve noticed something very odd when switching disk packs: It seems that the drobo is unreliable for a few boots after a swap. When I change disk packs, it sometimes fails to boot up properly, and often “crashes” or is non-responsive after a seemingly-successful boot. But a few more boots and it “settles in” and is dead reliable from then on. I noticed this oddness when switching between my old disk pack and a new one created on the drobo3 in both directions. It could have been due to my cables, though – I swapped these out at the same time. If you’re having similar issues with an unstable drobo, try using different/new cables or plugging it into a good USB3 hub or directly into the machine. And try rebooting a few times. I’ve also had some issues creating new disk packs on the drobo3. Everything seemed to go fine, but the drobo refused to format the disk pack after creating it. It tried and failed to create an HFS+ filesystem after successfully creating a 16 TB thin provisioned volume. I was able to manually create it with Disk Utility, but this is concerning. Creating a Time Machine volume seemed to work fine, but I didn’t want one of those! Finally, it seems to be impossible to create a second volume in Drobo Dashboard or to control the size of the one it creates. What if I want two 8 TB volumes? You can’t do that. The only way to create a second volume seems to be to load it up with disks larger than the existing volume. It will then prompt to create a second one. Why can’t I do that any other time? I remain a huge fan of drobo generally, and the third-generation drobo remains the best choice for home storage. It’s the perfect storage device for the long haul, and the performance improvements make it a no-brainer. Get one. 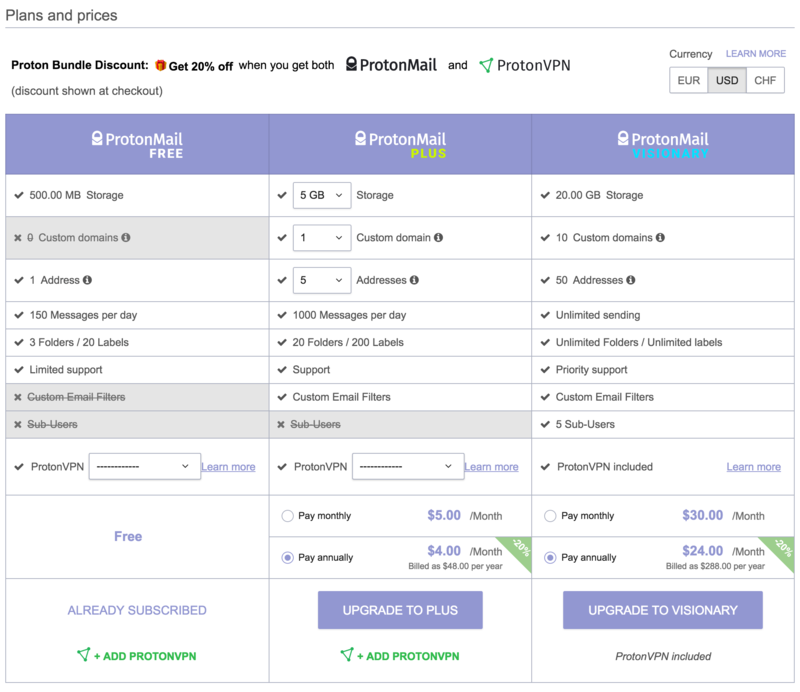 If $299 is still to expensive for you, I’ve got some good news: drobo provided me with a discount code for my readers! Buy a 4-bay third-generation drobo using the code, “STEPHEN40” from www.drobostore.com and you’ll get $40 off the purchase price. If you’re in the Euro zone, head to drobo-emea.myshopify.com and use code “STEPHEN30” for a €30 discount. They sometimes run better promotions, too, so watch out for $50 or even $100 discounts!